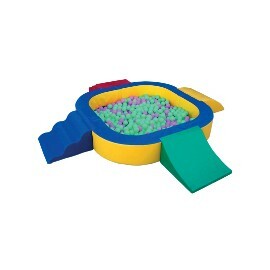 We offer a wide range of ball pits suitable for the different ages for which they are intended. 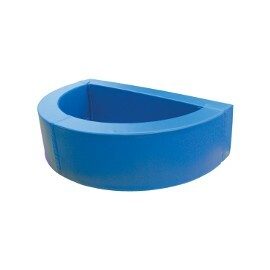 This range is complemented by accessories such as steps, ramps and wall protection. They are made of polyester foam with a density of 23 kg/m3 and covered with an environmentally-friendly cover, washable in soap and water. They feature waterproof fabrics and fireproof M2 treatment and are free of phosphates, heavy metals or any other product that may be harmful to children’s health. 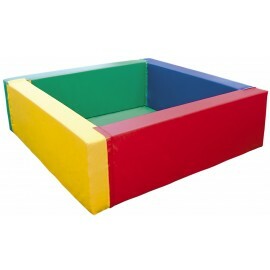 All articles are manufactured in accordance with all European safety standards governing toys and paediatrics. 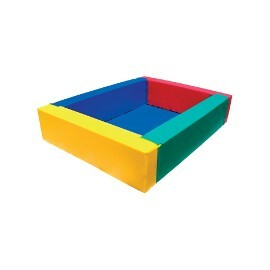 All ball pits come with a cloth cover and the walls feature a 5 cm Velcro tape with great resistance and adherence. 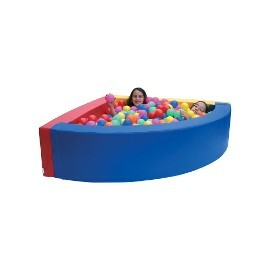 Balls are not included in the final price of the ball pits. --- We can manufacture any of these parts in a combination of colours chosen by our customers within these posibilities: red, yellow, orange, dark pink, dark green, light green, dark blue, light blue, beige or white. 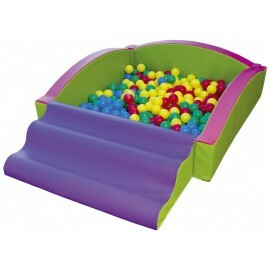 Ball pits and parks There are 19 products.